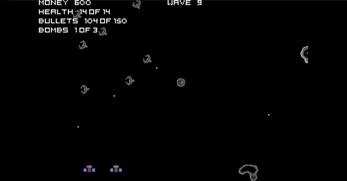 This game, with motivation from Asteroids, has been created. It is quite similar to it. Although, there is much much more to it. 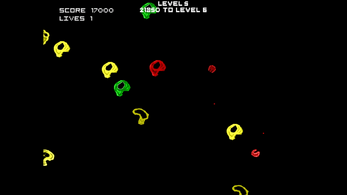 For example, there are multiple colours of asteroids, and you must switch to the appropriate colour in order to destroy it. 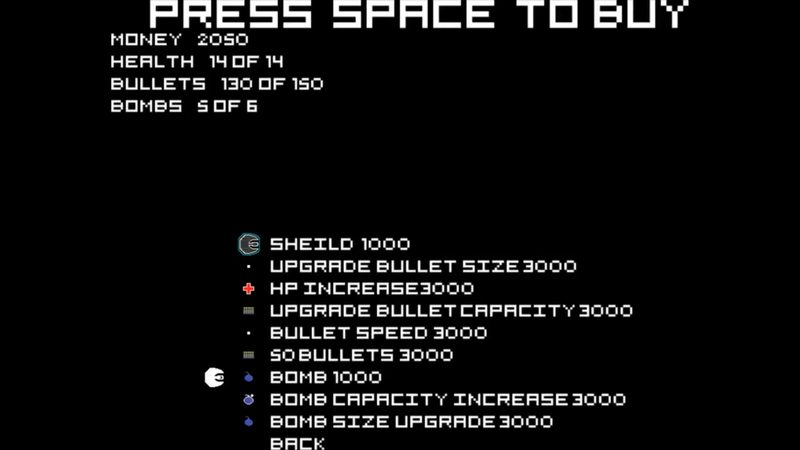 There are two different game modes, survival mode, and colour mode. 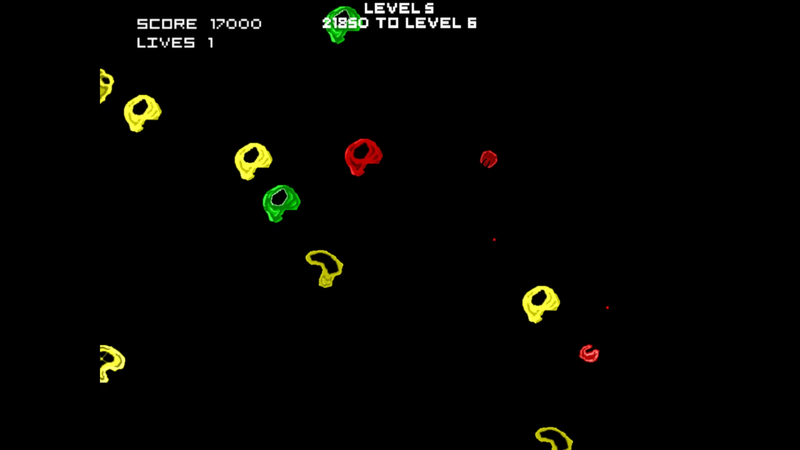 Colour mode is as previously mentioned, similar to vanilla asteroids experience, but with four different colours. Survival mode is entirely different. 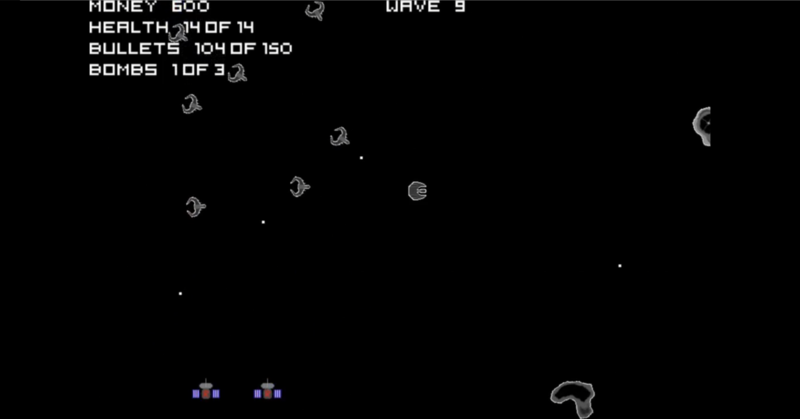 One wave of enemies is spawned at a time. 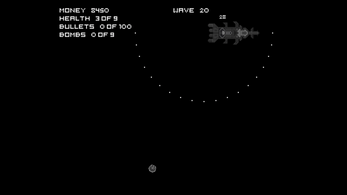 After you defeat them, you are taken to a store, in which you can purchase yourself some upgrades or ammo for your ship. 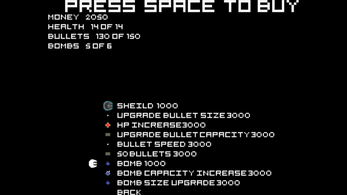 (there is a limited amount of ammo). There are bosses every several levels.